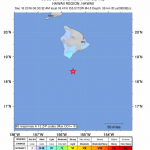 PC: Maui Electric. Downed trees and repair of downed lines Upcountry on sunday, Dec. 18, 2016. 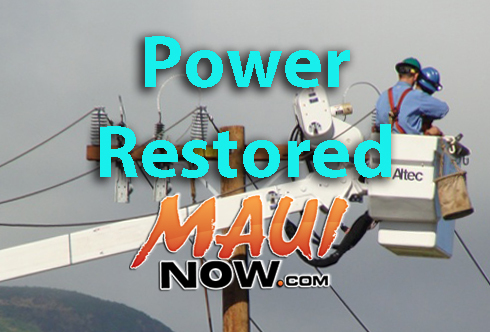 All Upcountry customers were restored on Sunday night as of 9:20 p.m. except approximately 30 remaining customers in pockets of Kula. Response crews continue extensive work that involves clearing trees blocking access to certain areas and repairing downed electrical lines. 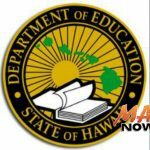 An estimated 3,172 customers in the Kula area experienced a power outage when stormy winds brought down trees on power lines in multiple areas Upcountry at around 6:02 a.m. on Sunday, Dec. 18, 2016. 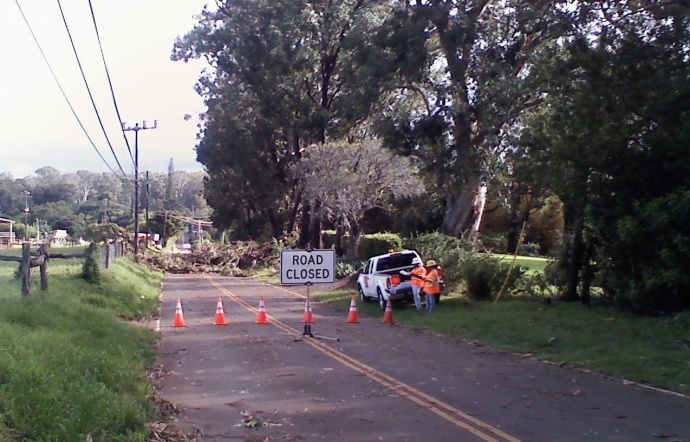 By mid-day, Maui Electric crews restored power to a majority of Kula customers. 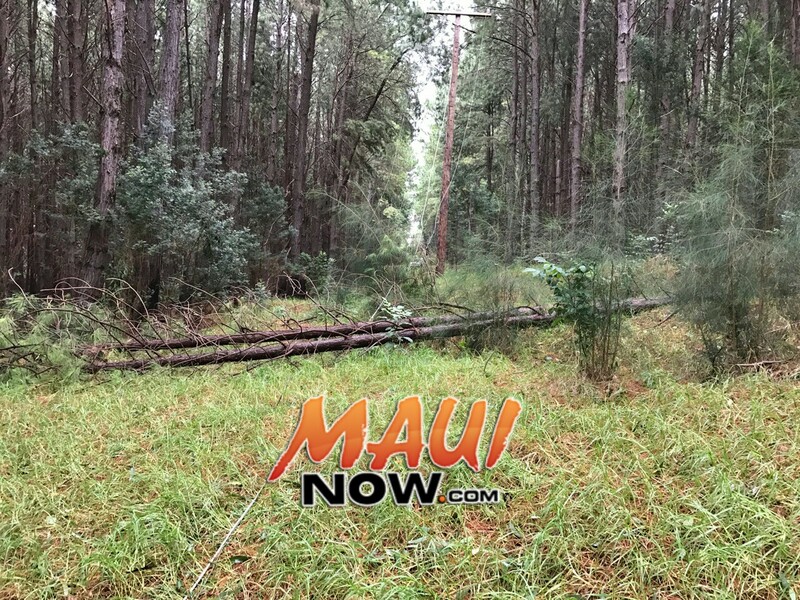 As of 4 p.m., crews continue to clear trees and repair downed lines to bring less than 300 customers back online in pockets of Upcountry, Ala Luana, Piiholo and Olinda. 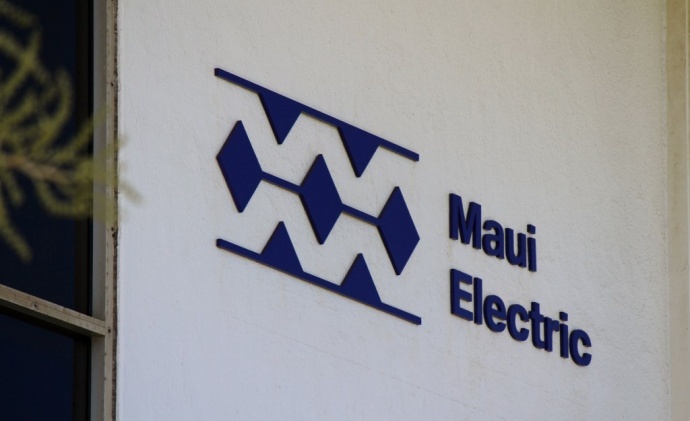 Representatives with Maui Electric thanked customers for their patience and understanding as response crews continue to work to restore power as quickly and safely as possible.